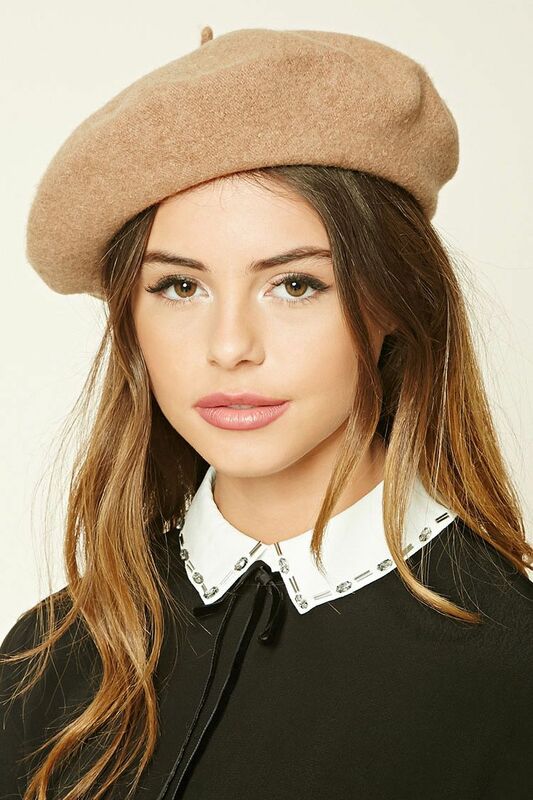 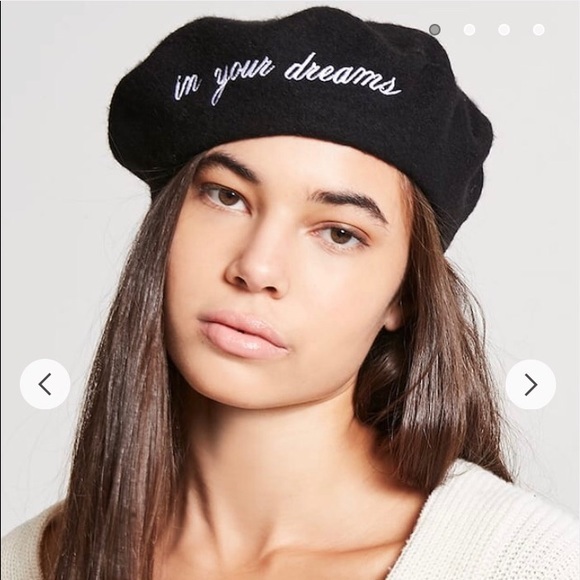 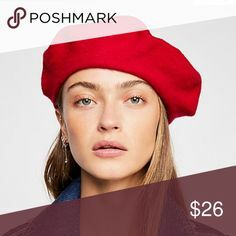 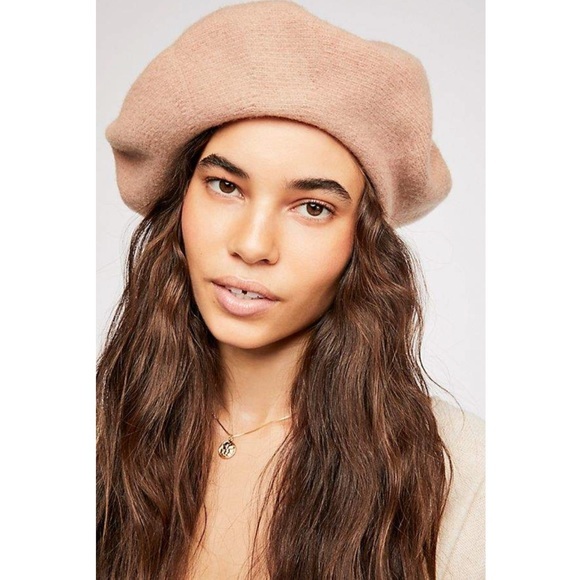 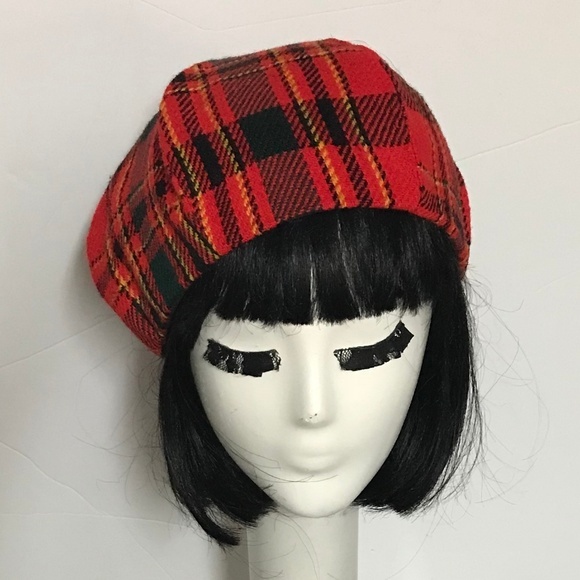 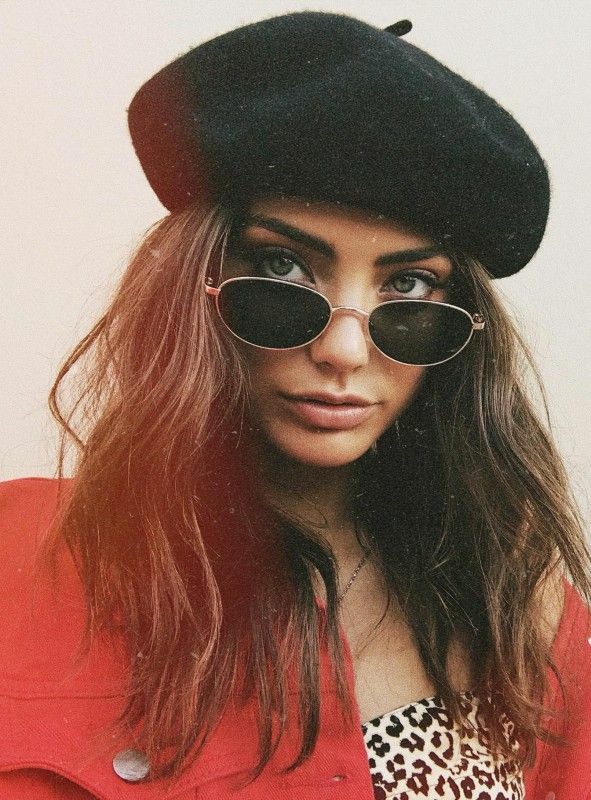 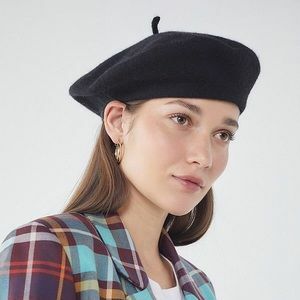 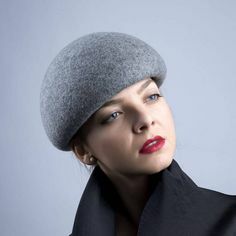 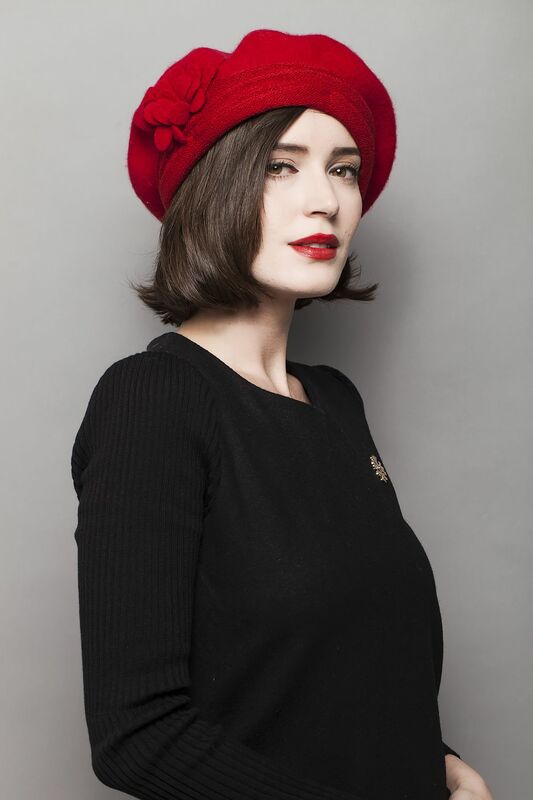 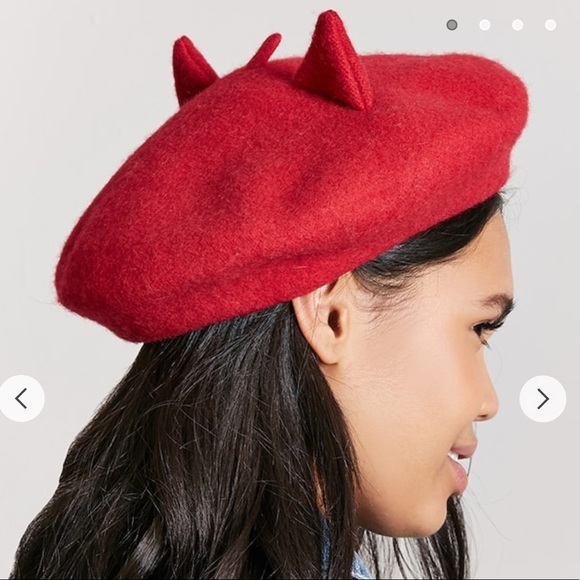 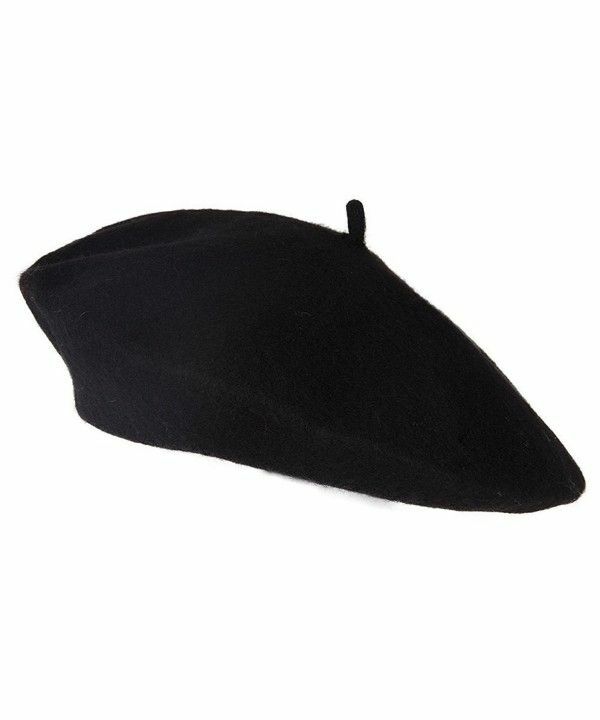 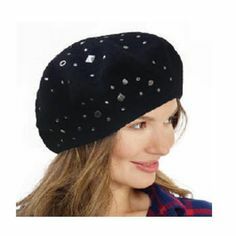 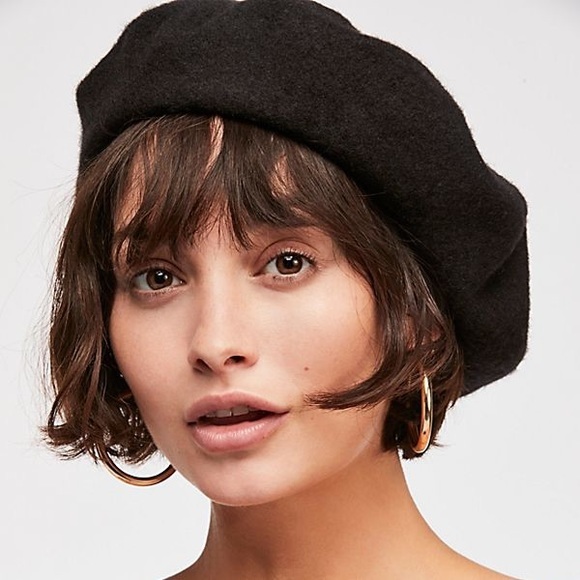 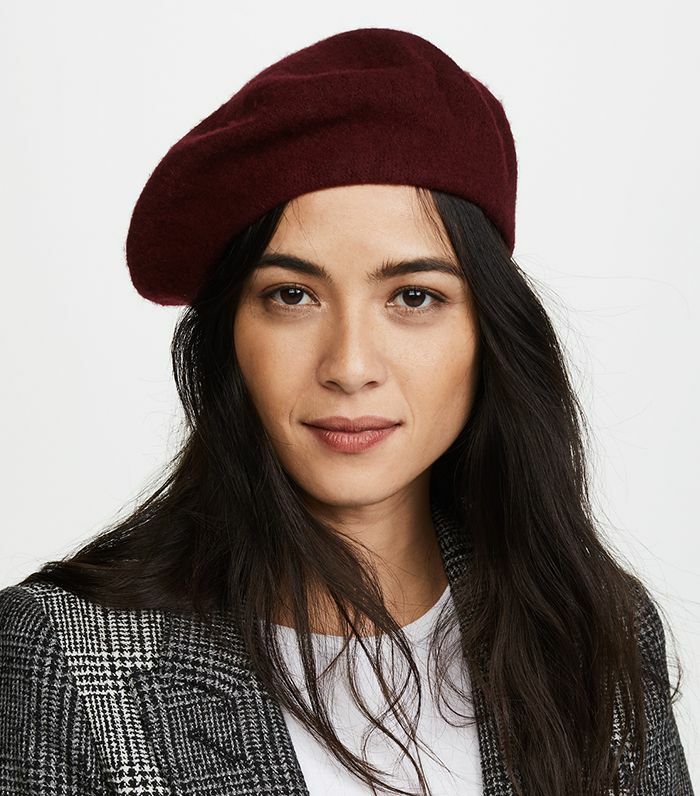 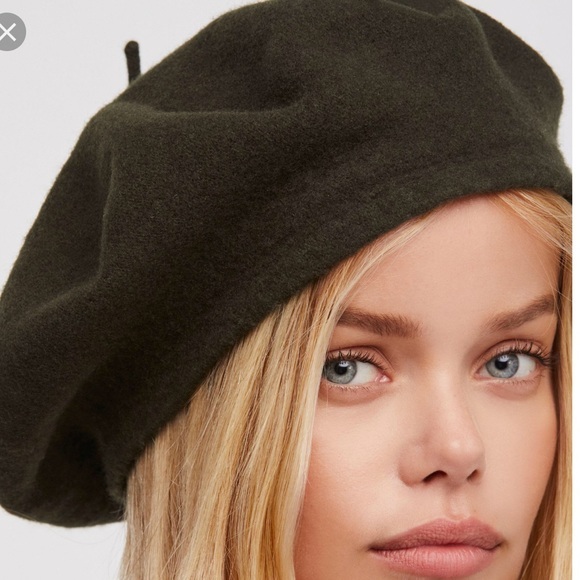 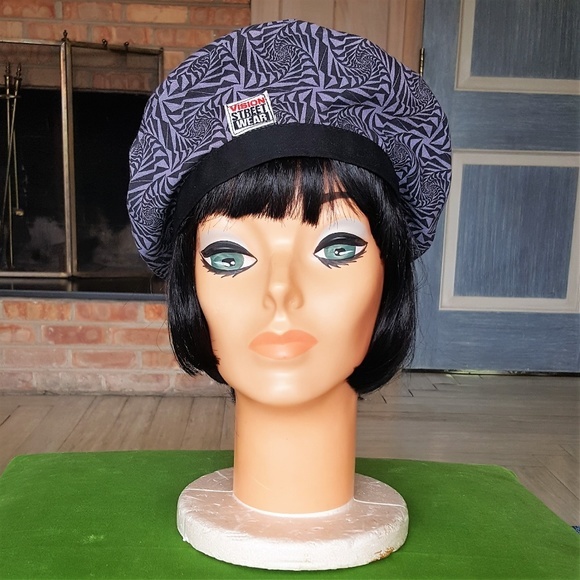 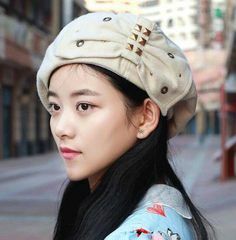 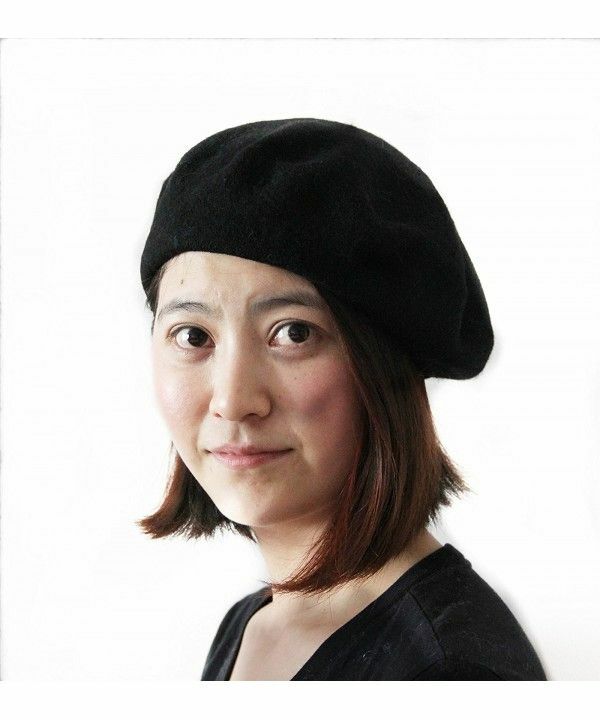 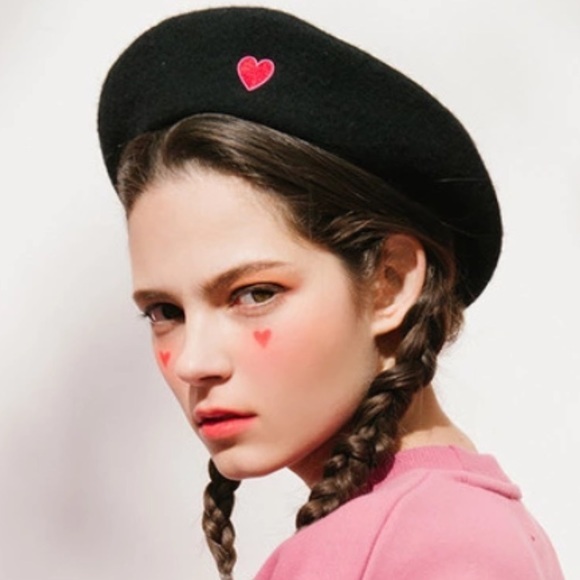 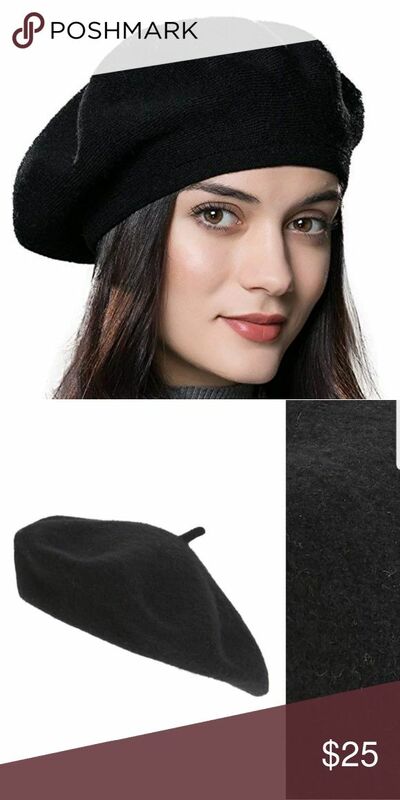 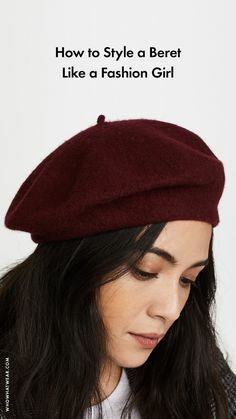 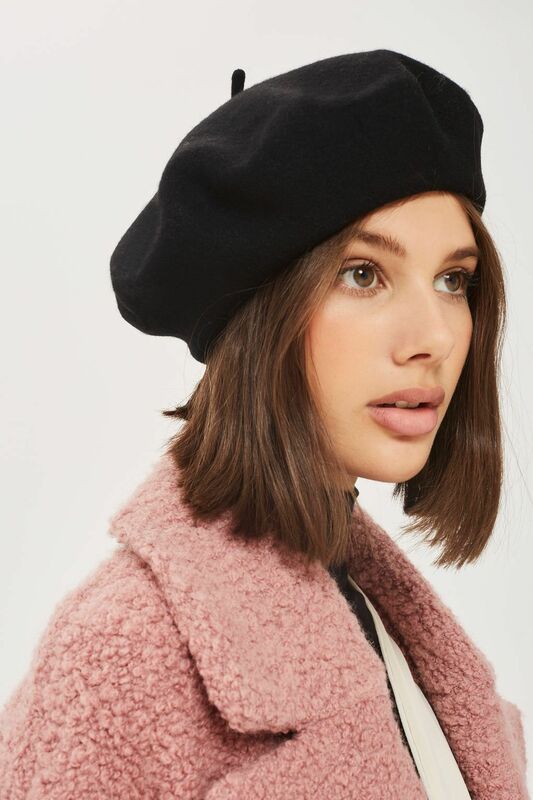 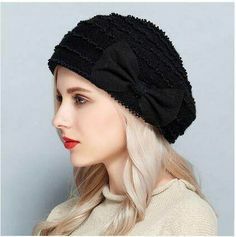 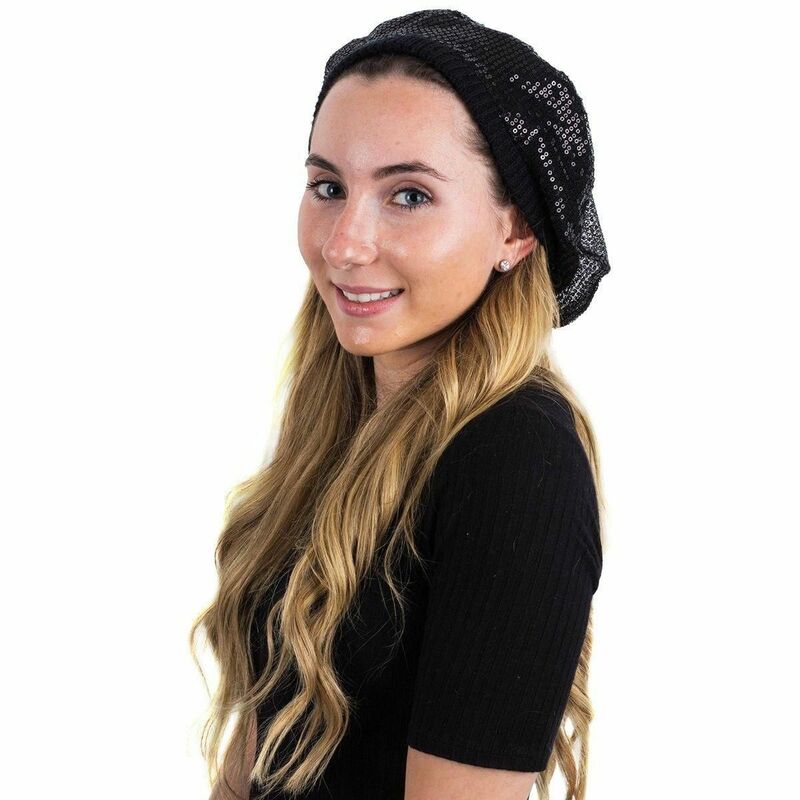 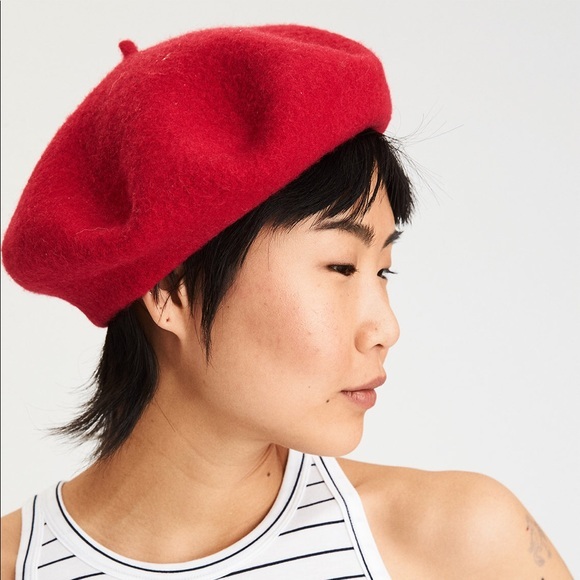 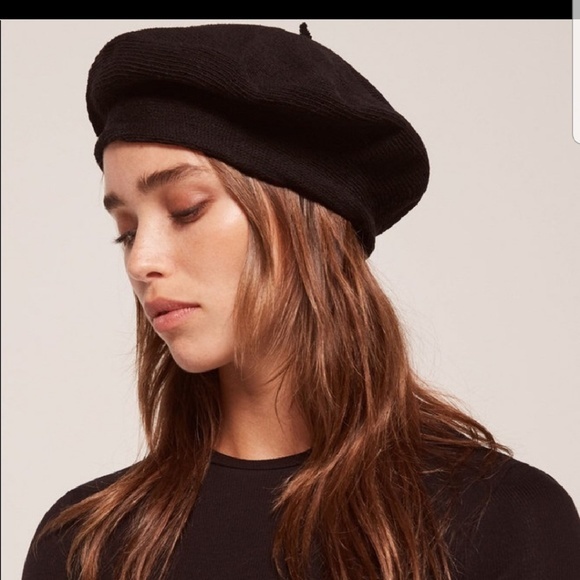 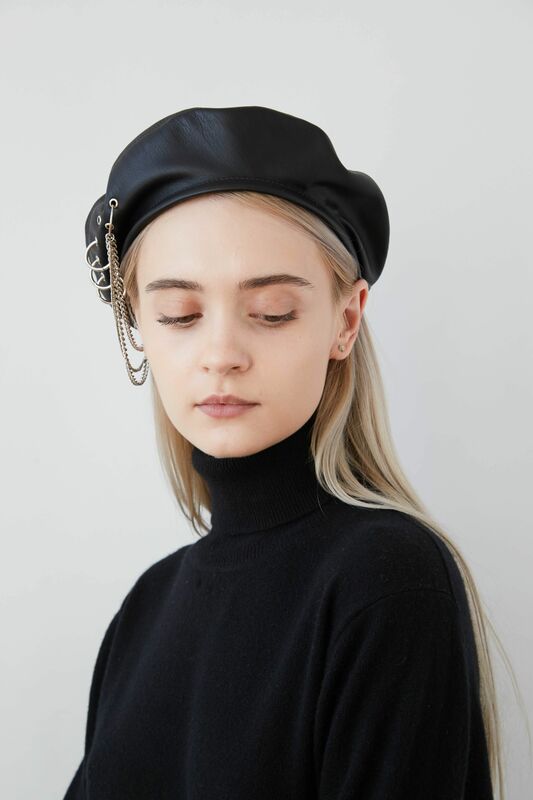 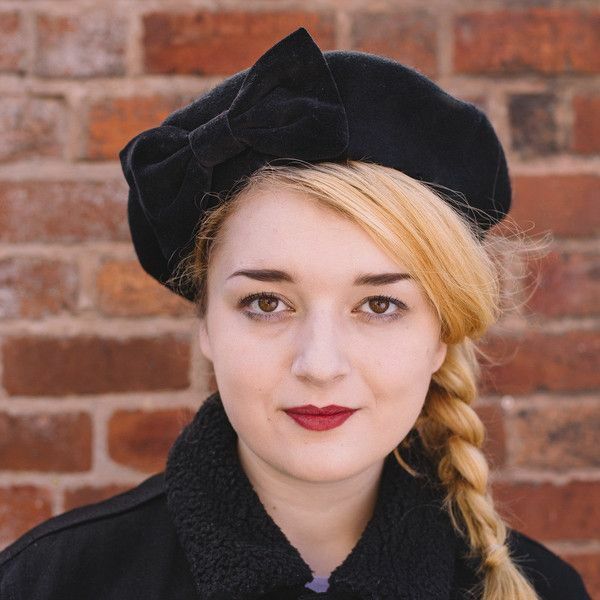 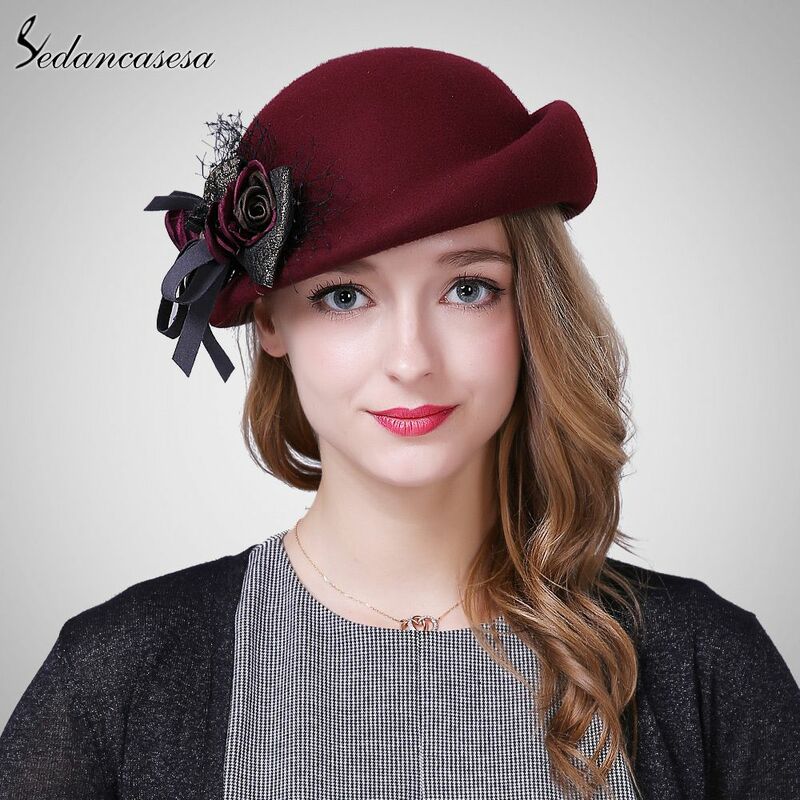 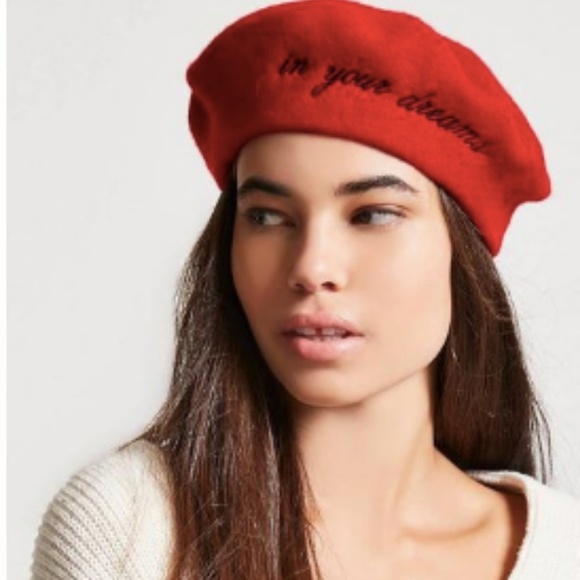 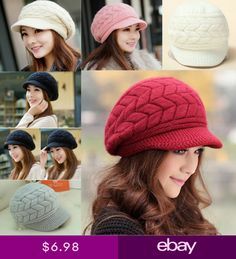 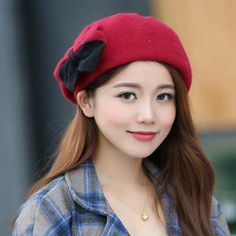 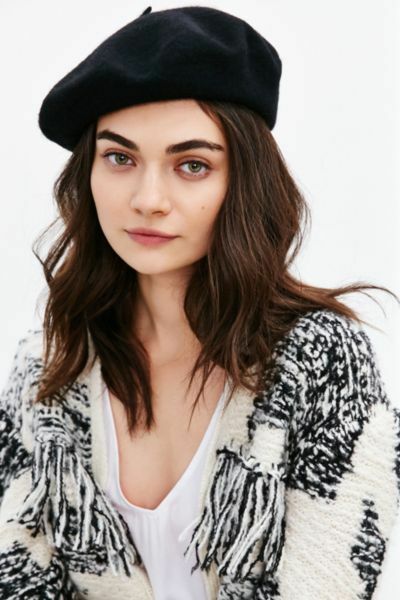 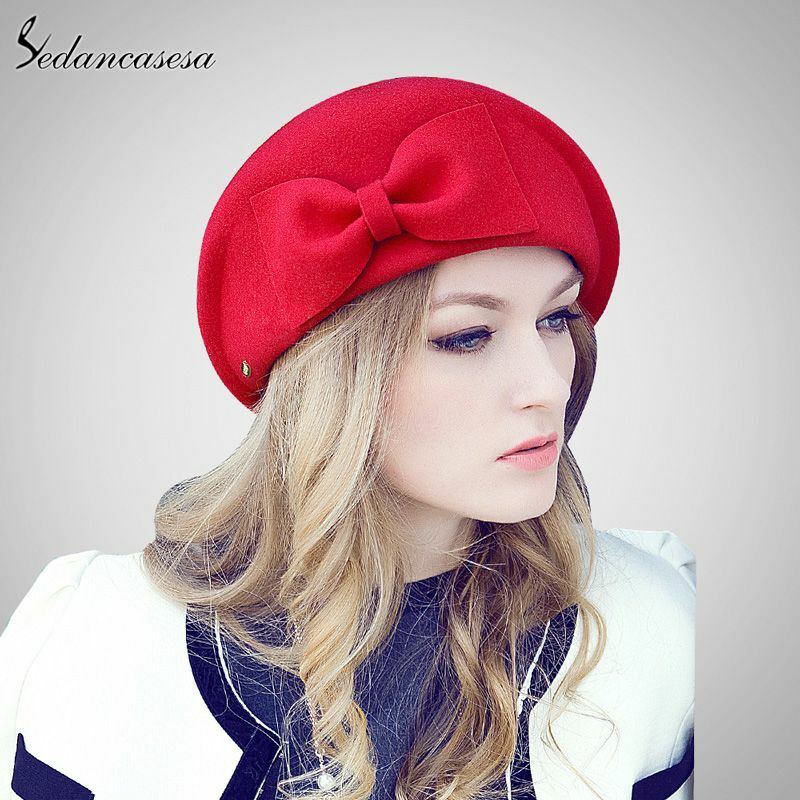 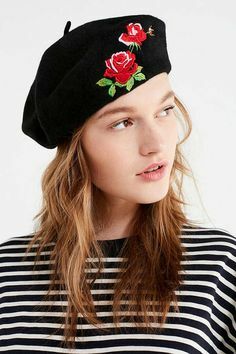 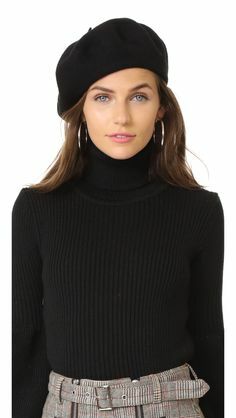 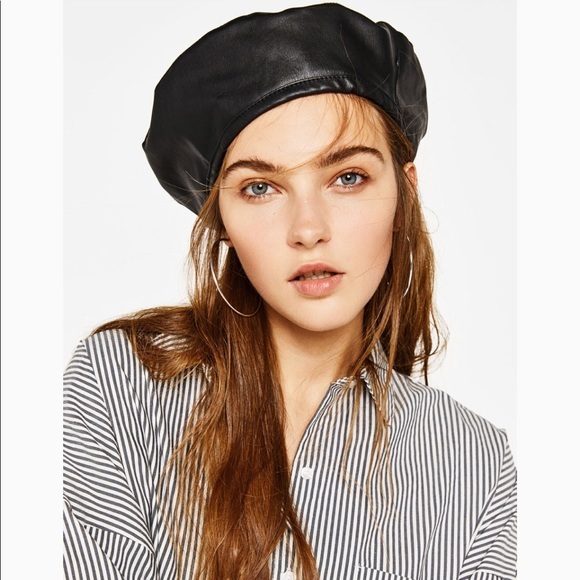 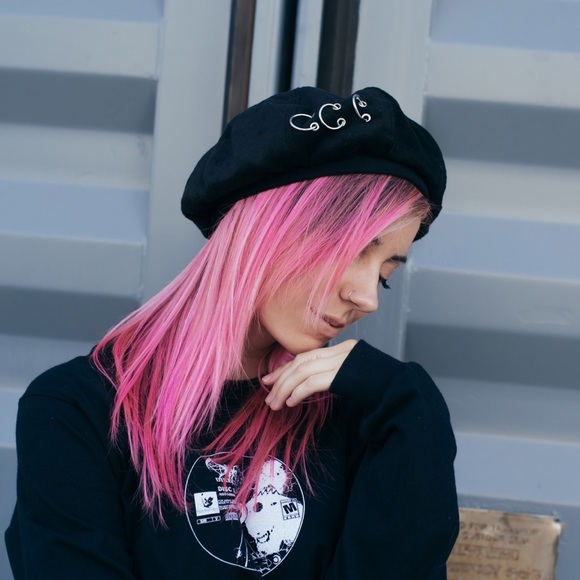 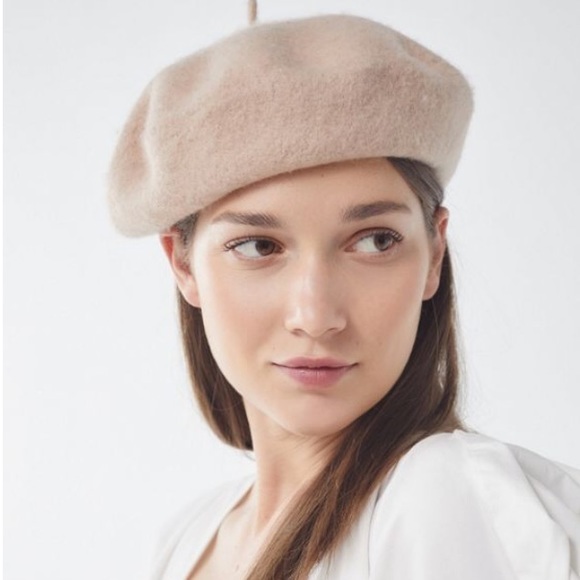 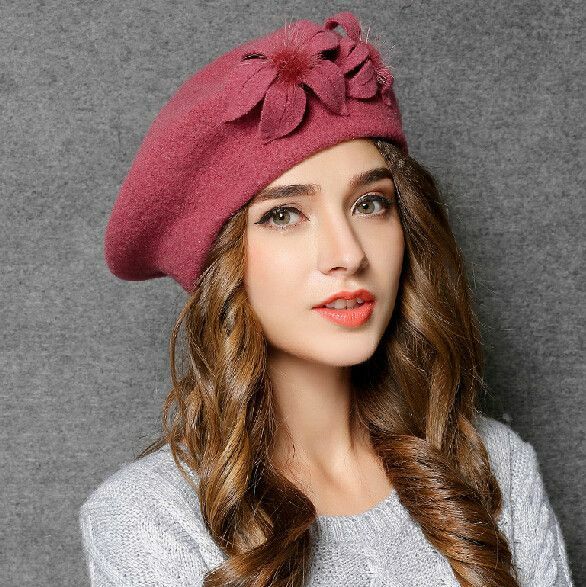 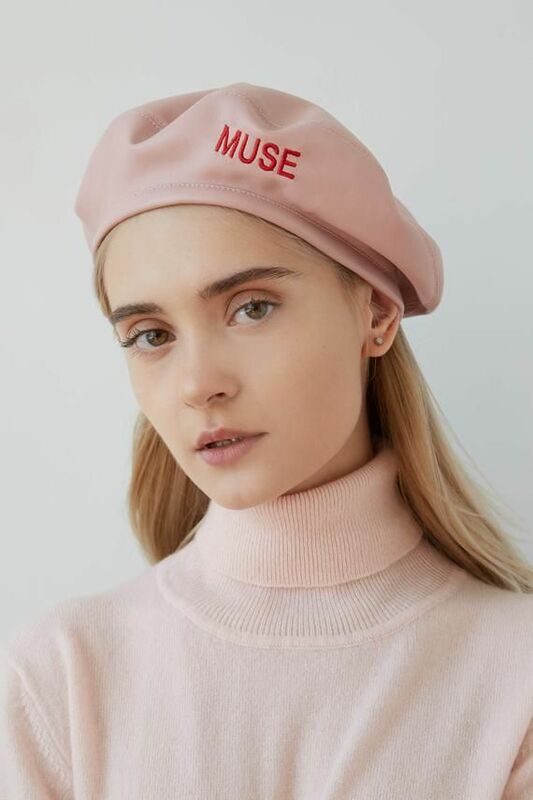 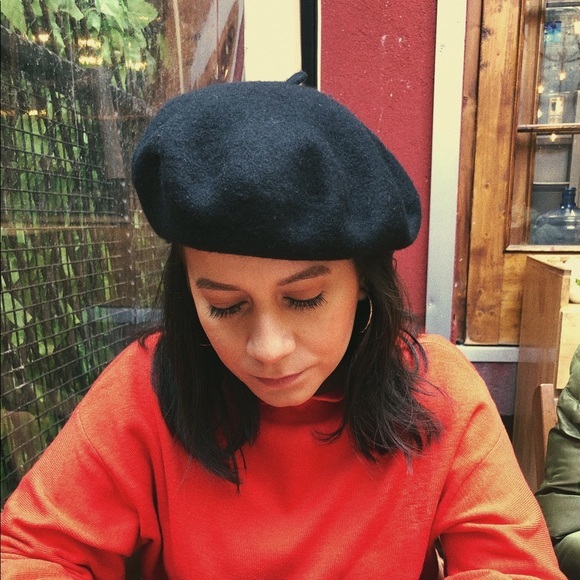 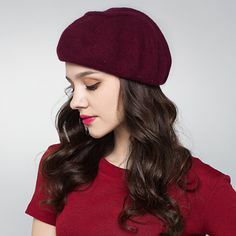 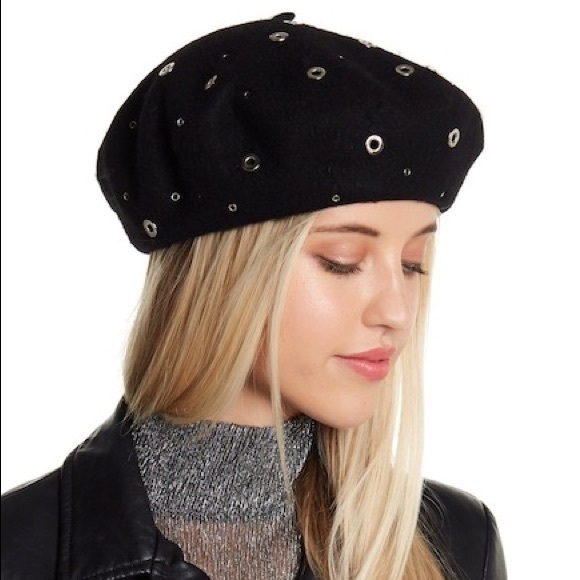 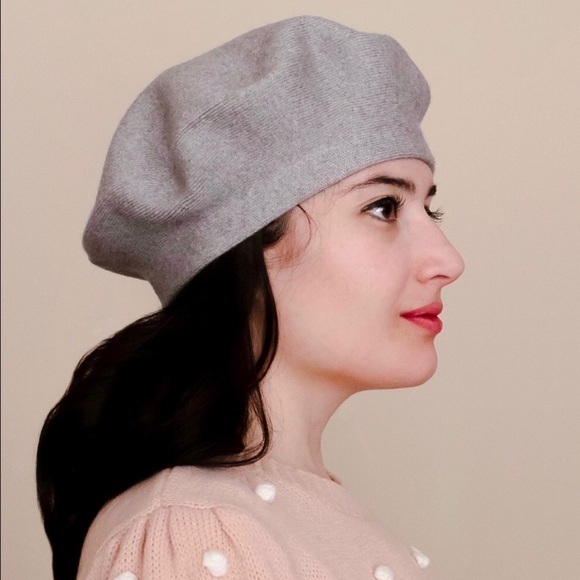 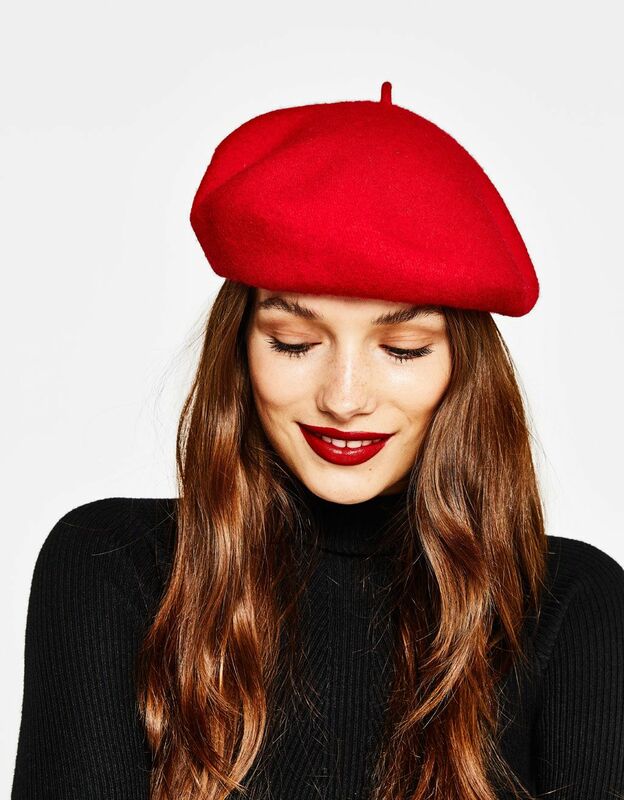 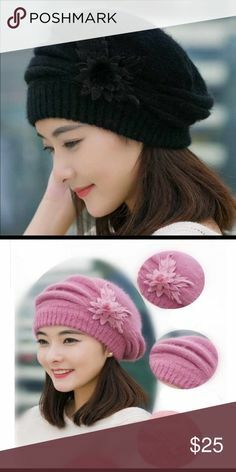 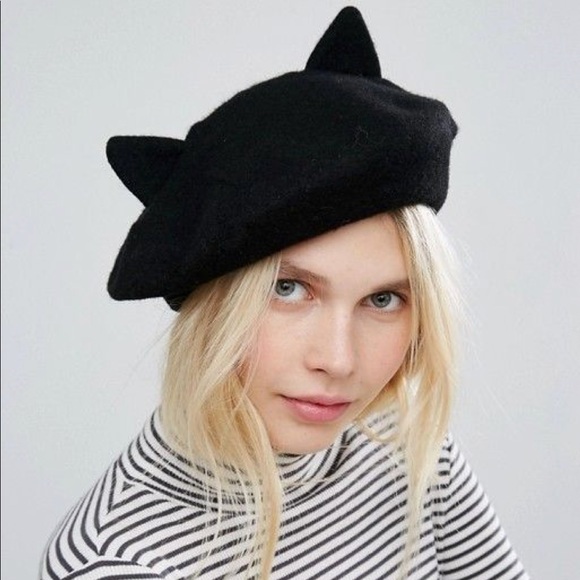 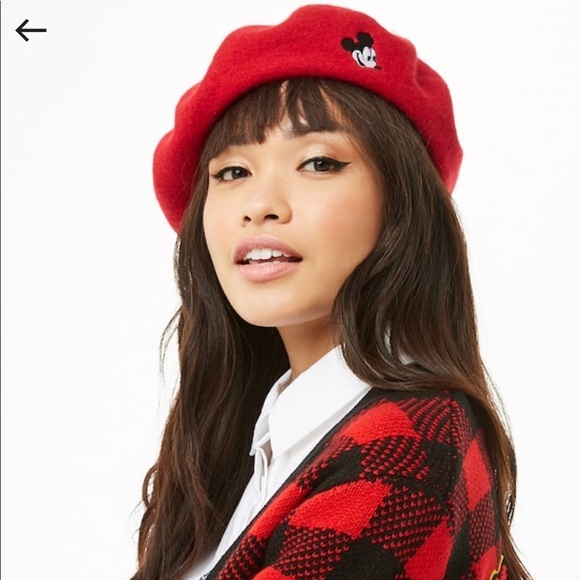 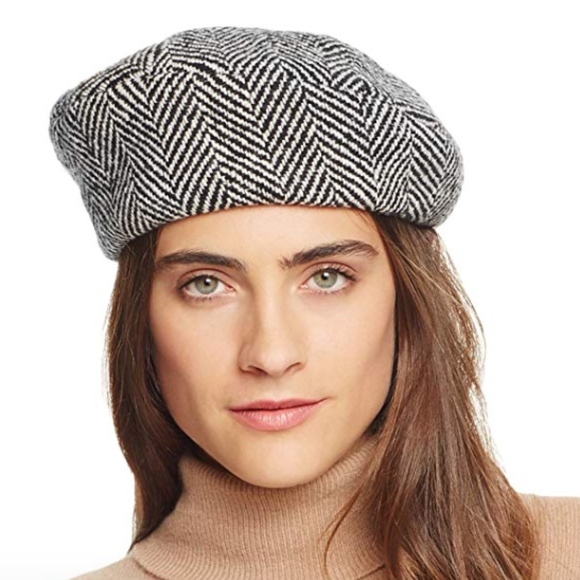 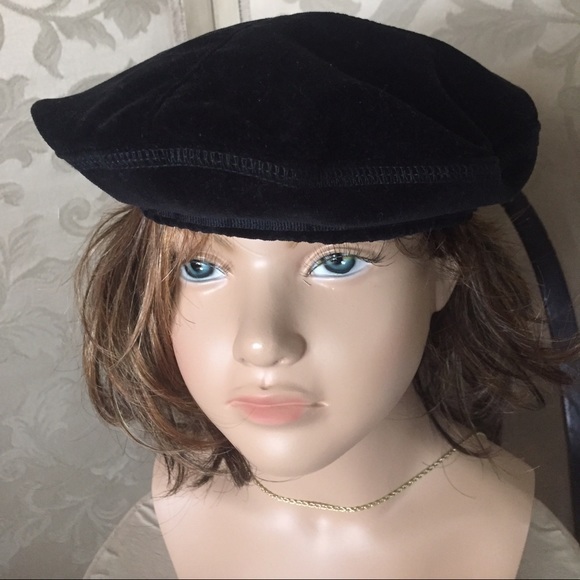 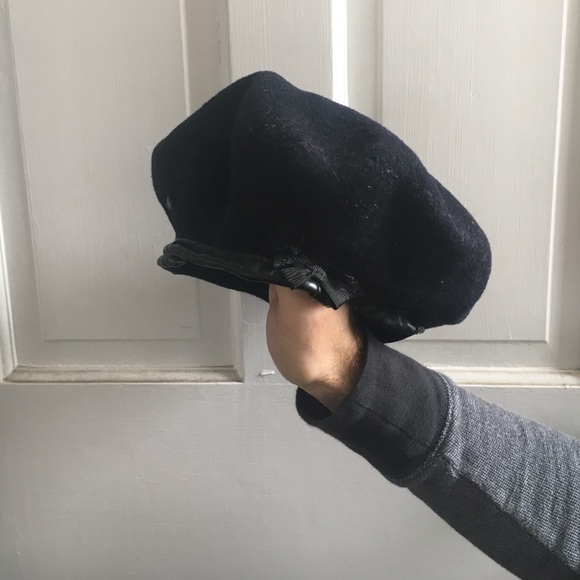 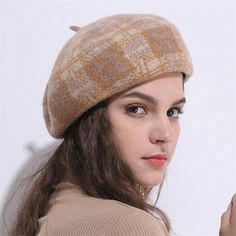 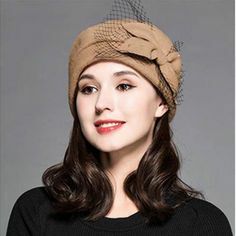 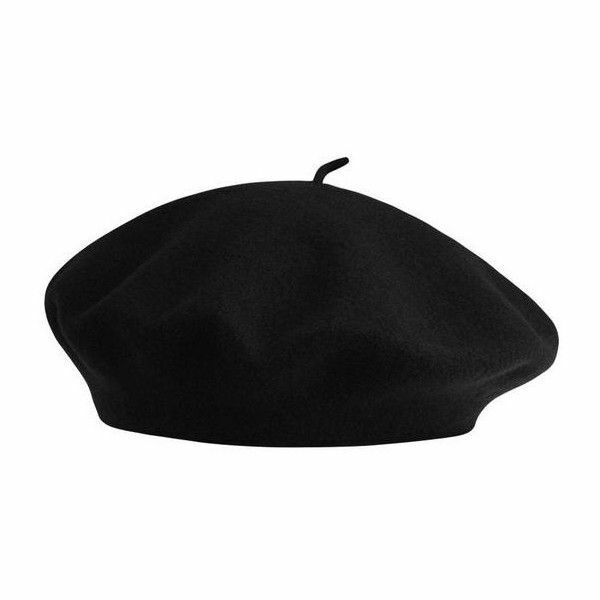 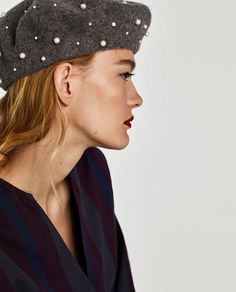 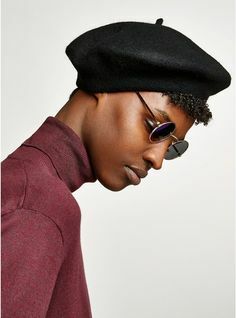 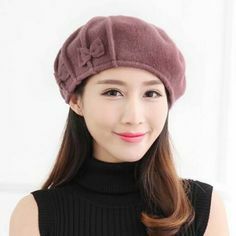 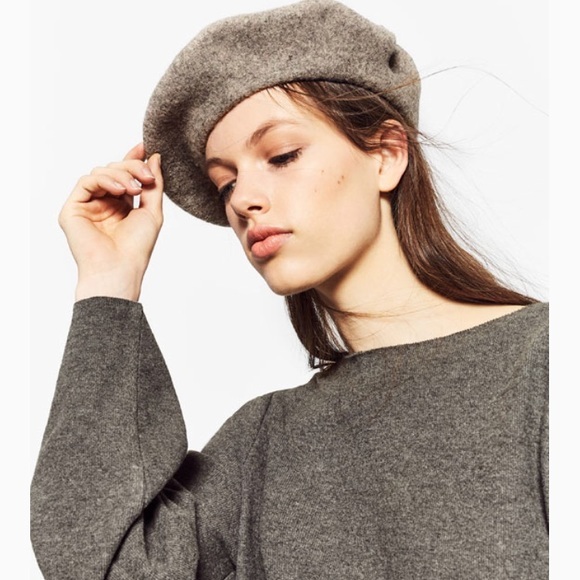 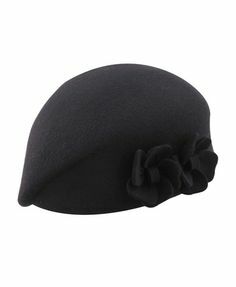 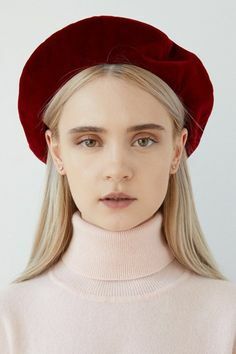 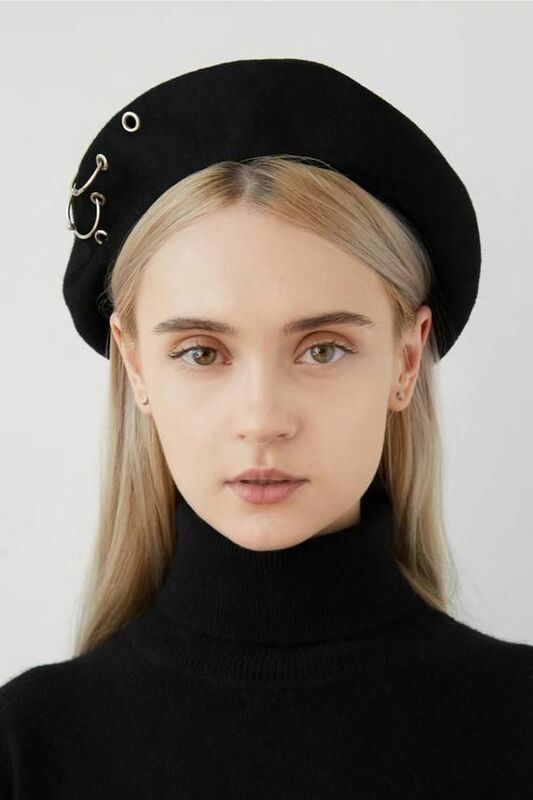 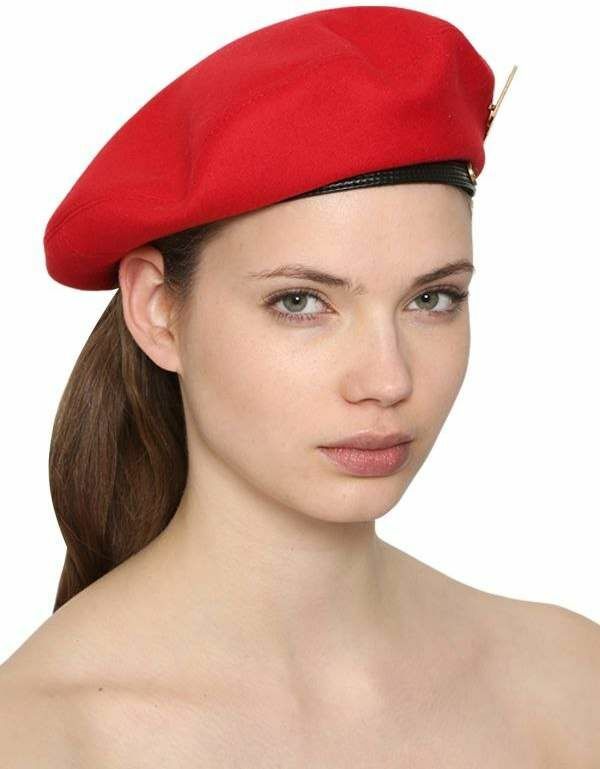 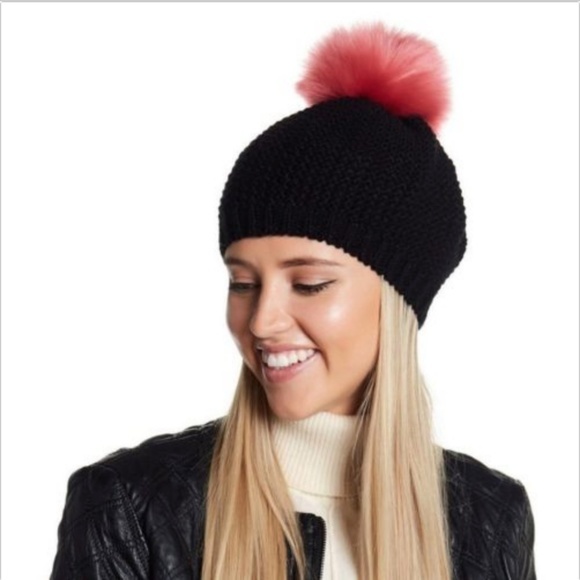 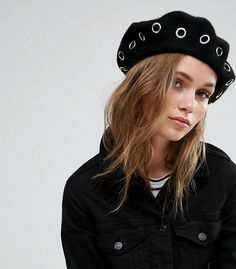 A wool beret featuring a pointy accent on top. 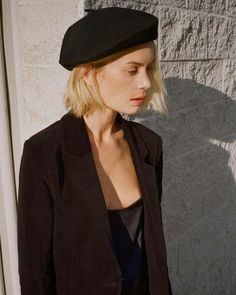 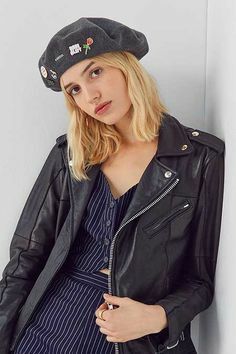 French beret and jacket over striped crop top and 40's slacks, SO hot! 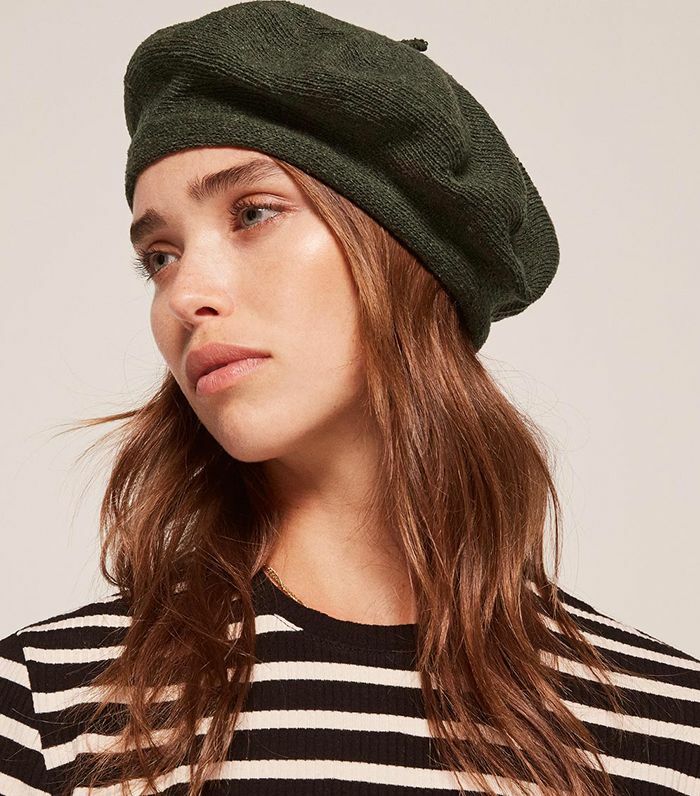 NWT dark green beret from Free People. 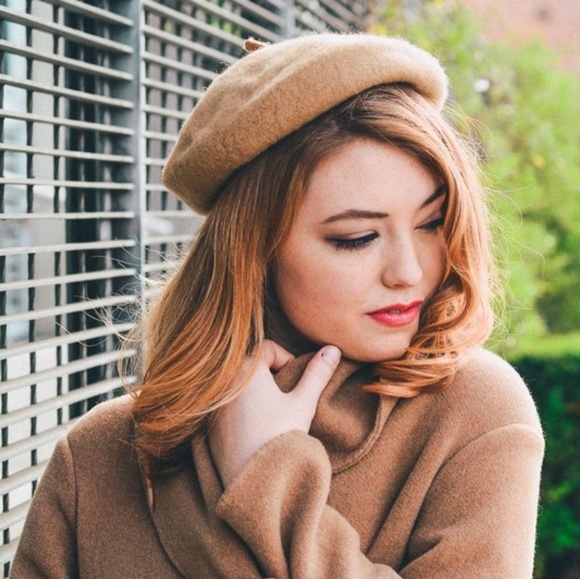 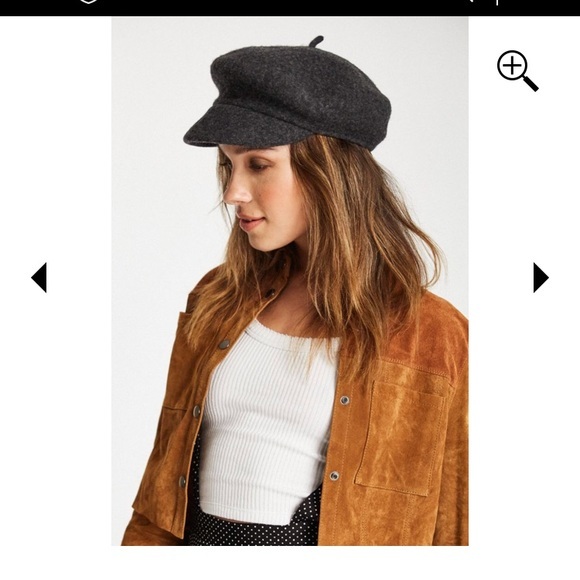 In this look I'm wearing my H&M oversized camel coat with my beret hat, Mango coffer bag, a striped jumper from & other Stories and Mango sock boots. 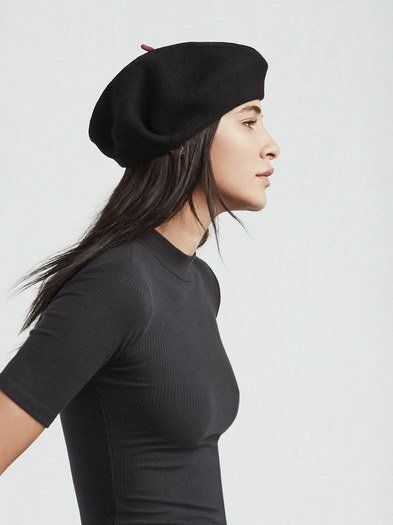 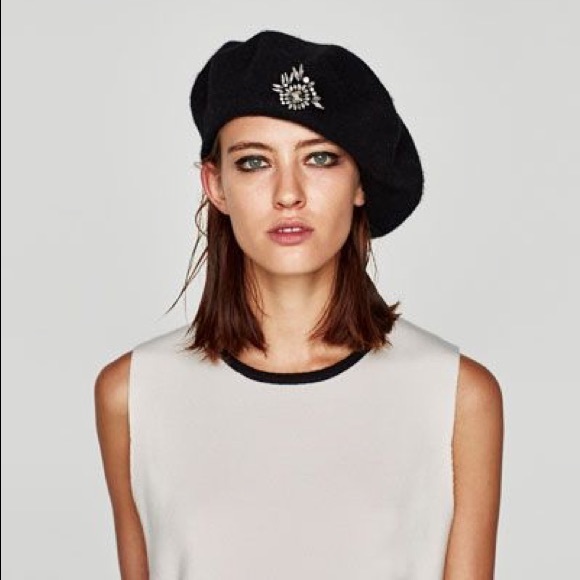 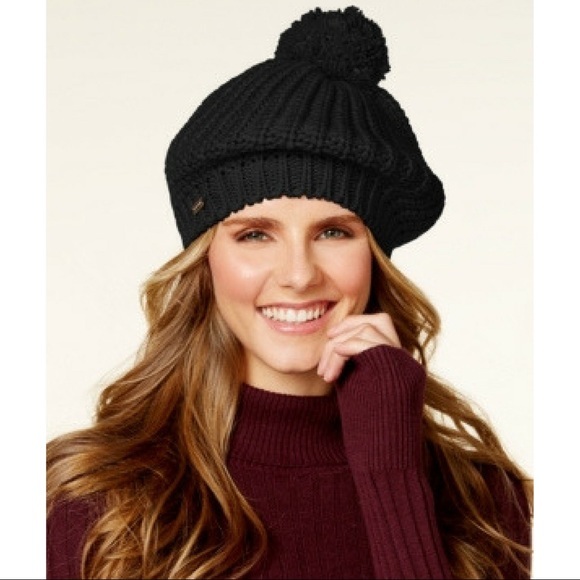 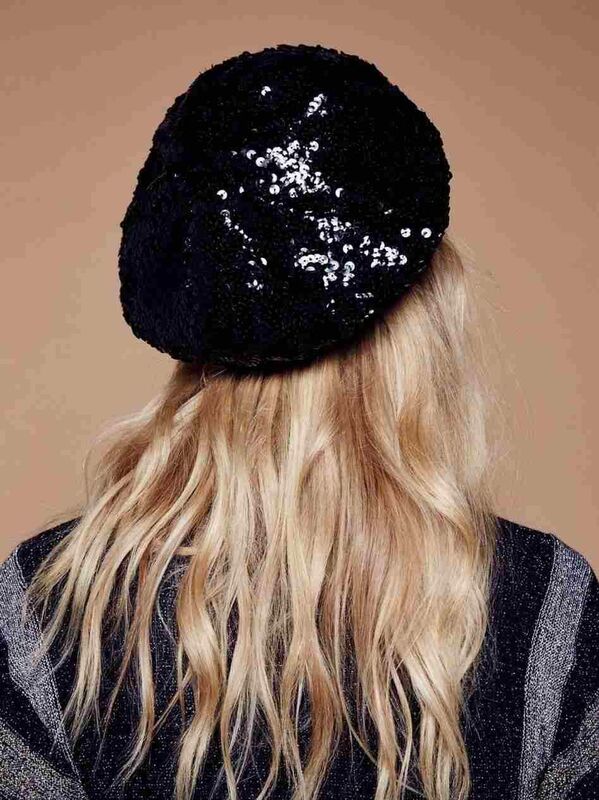 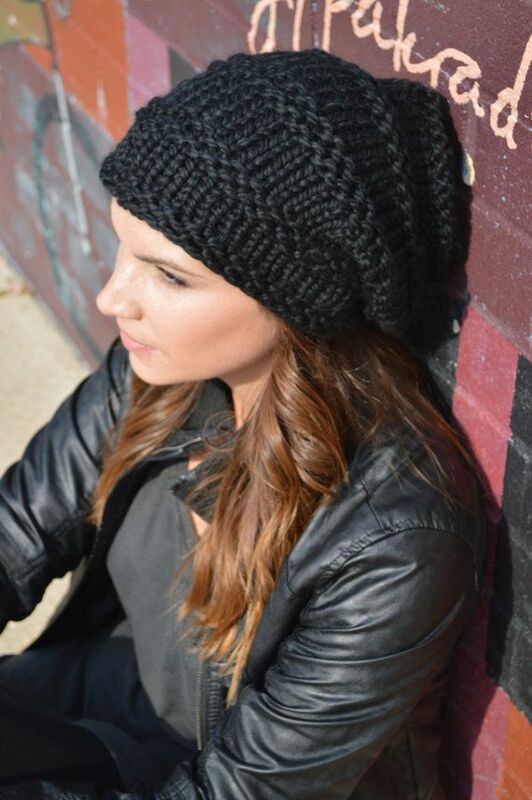 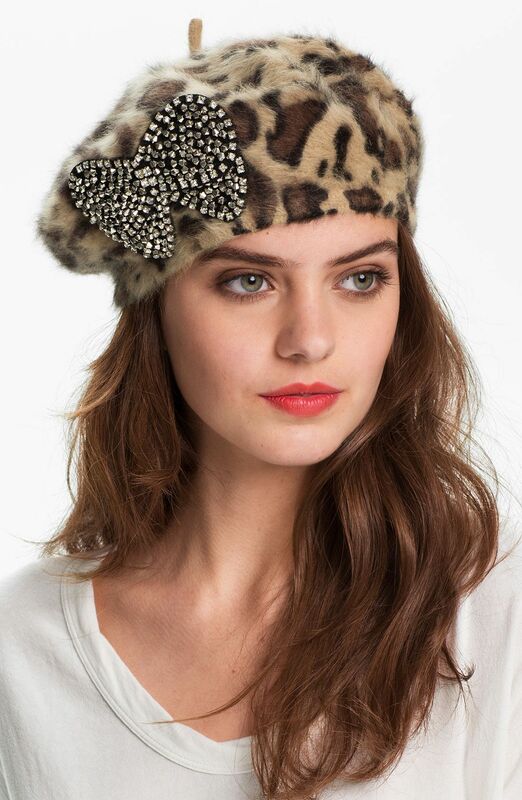 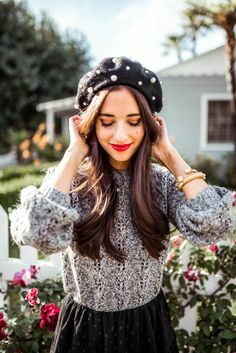 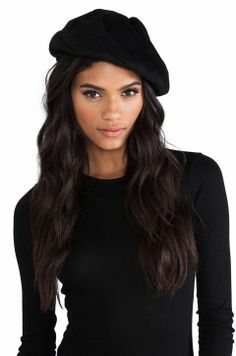 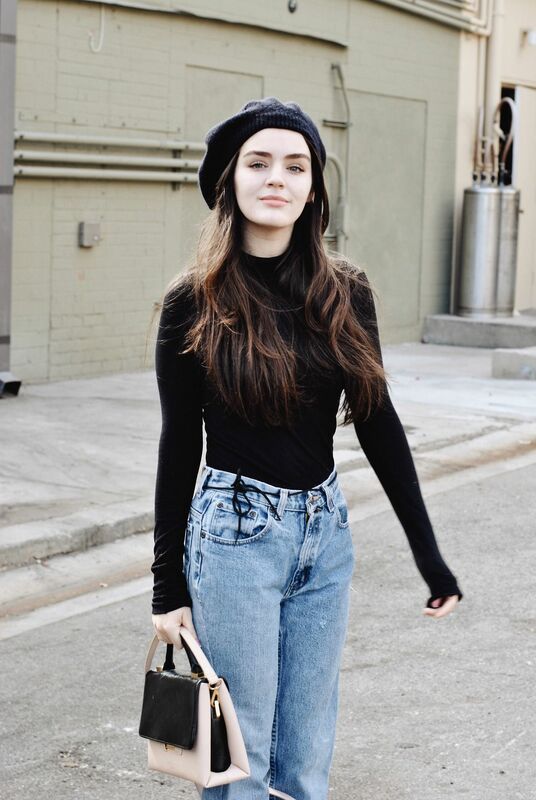 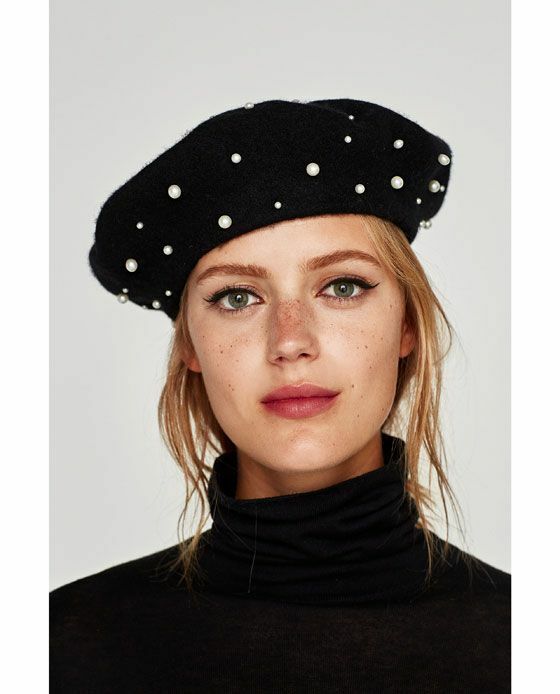 Ralph Lauren knit + beret = chic n' sassy !